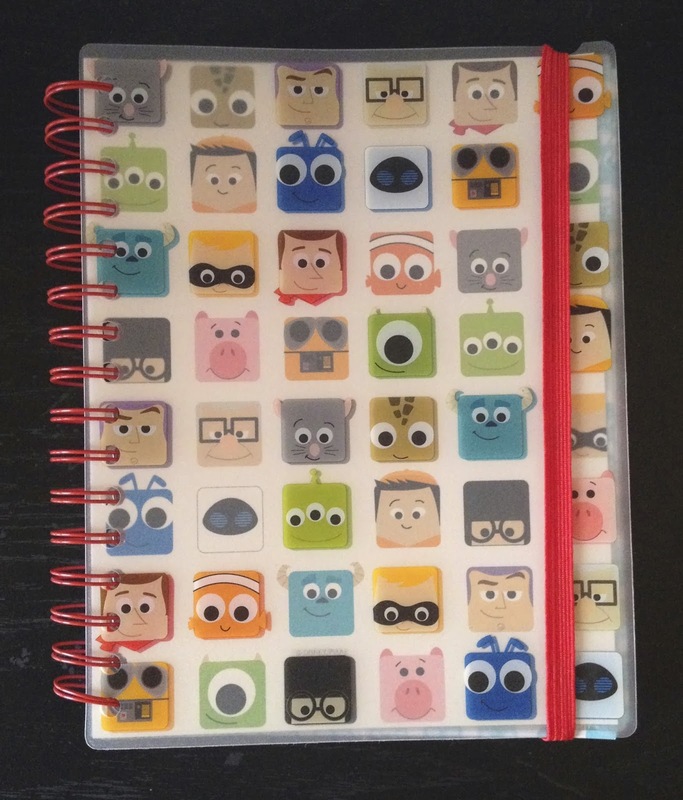 Here is the Disney/Pixar collection notebook! This amazing line of products debuted at the Disney D23 expo last August and then went to the DisneyStore.com for a short time. 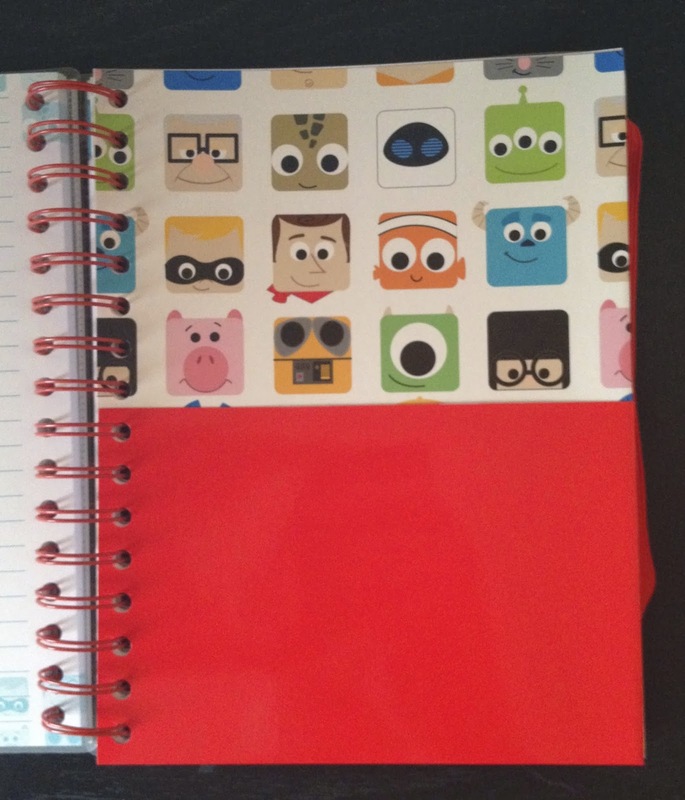 In addition to this, there were 4 other products available featuring this same design: stickers, a mug set, a second mug set, a note card set, an iPhone case, a Sticky Note Set, and a pencil/eraser set. Like I've mentioned, when I saw this line of products, I was hooked on getting them. I just love the design and the minimalist style of the characters. I was afraid they were going to be only exclusives at the expo but was thrilled when they became available at the Disney Store. 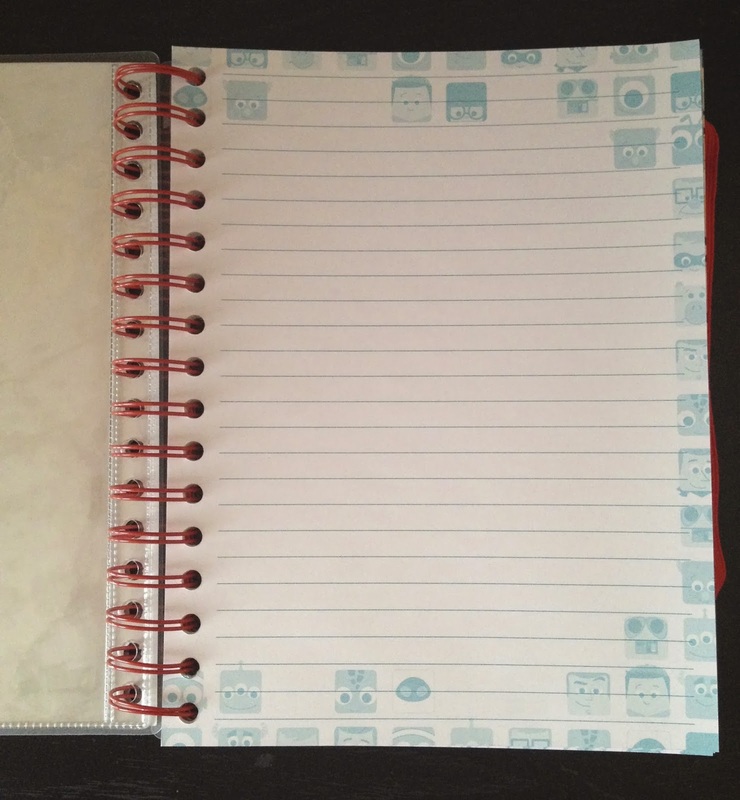 As you can see below, the front cover (as well as the back) is actually two layered. The very top cover is a semi-clear (but frosty) vinyl material, something I didn't realize until I got it and saw it and person. So when the covers are down it gives it a cool look where some of the images are more faded and others more vibrant. It actually makes it that much cooler! 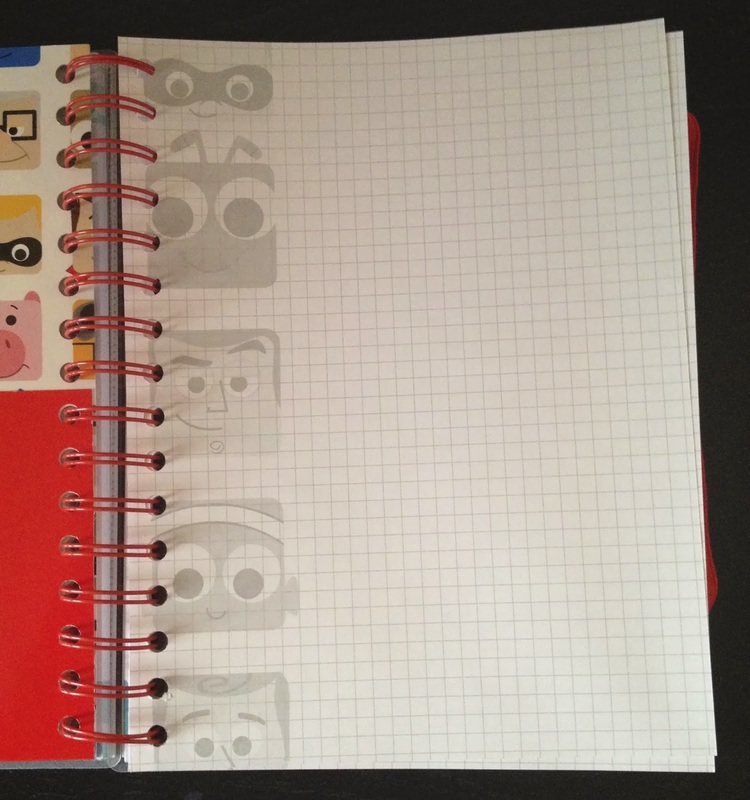 On the back, there is the Disney/Pixar logo. I love it! 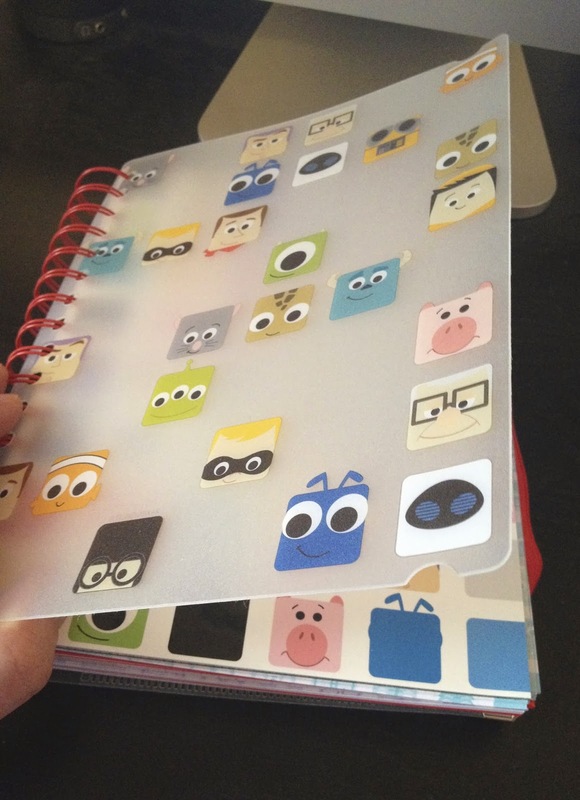 There are a lot of Pixar notebooks out there but this has got to be my absolutely favorite. If you can get a hold of this, I'd go for it! You'll love it too. As usual, thank you very much for taking the time to stop by. 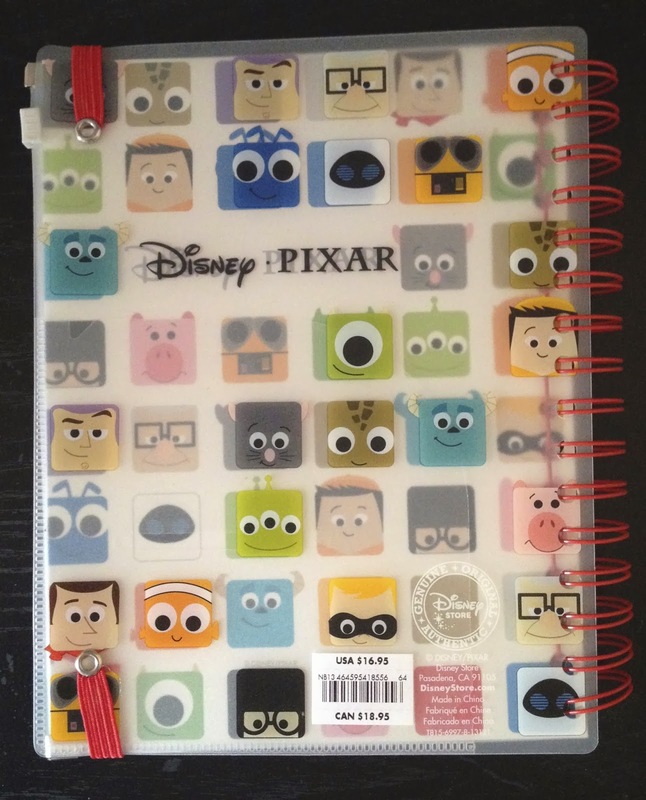 If you like what you see, check back daily for more items from my Pixar collection!